TNT 8 1/2 x20 Tandem Axle, Poly Bead Coated Floor, Extra Wide Front Ramp, Rear Ramp, White Vinyl Walls And Ceiling, Adjustable Coupler, Heavy Duty Drop Leg Jack, Electric Brakes On All Wheels, 7000 # GVWR. 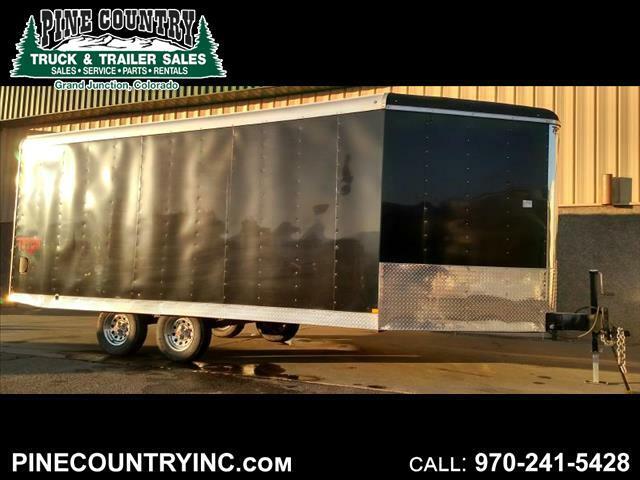 Visit Pine Country online at www.pinecountryinc.com to see more pictures of this vehicle or call us at 970-241-5428 today to schedule your test drive. Message: Thought you might be interested in this 2014 TNT TETSN8.520TA2.